Morgan Planning Group is dedicated to providing exceptional assistance and advice to each and every client. We pride ourselves on establishing personal, long-term relationships and being a trusted source for all our clients’ insurance and benefit needs. What it all boils down to is commitment. We’re here for the long haul, nurturing relationships, and using all of our talents, experience and resources to provide the coverage our clients need, and the peace of mind they crave. To learn how we put our dedication into action, contact us. We are a family-owned business, now in our third generation. No field is more future-focused than insurance but at Morgan Planning Group, history counts for a lot. Three generations of family ownership and operation have given us a deep understanding of our clients’ experiences growing their own businesses. Just as important, we have a long, unbroken history of listening to the people we serve and always – always – acting in their best interest. 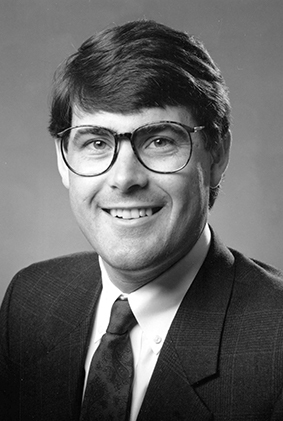 Our firm was founded in 1984 by Gary Morgan, himself the son of an insurance agent. When he first put up his shingle, we were a group of one. More than 30 years later, we’re a bit larger, day-to-day operations are now led by Gary’s son, Scott, and we provide a wider range of services to a growing family of clients, including businesses of all sizes, as well as professional practice organizations, individuals and families. They turn to Morgan Planning Group not only for insurance strategies, but also for financial and investment planning to help achieve their goals for retirement, college funding, estate planning and more. Most important, however, is what hasn’t changed: our focus on making our clients’ lives a little bit easier, and a whole lot more secure. Honesty, integrity and transparency are the bedrock of our practice. We don’t ask for your trust – we do everything we can to earn it. With more than three decades of experience serving individuals and groups, we know our industry, and can access a universe of cost-effective solutions on your behalf. We don’t disappear after the “sale.” We’re always accessible and available, and are proactive about helping you stay on course through changing circumstances and new opportunities. As president of Morgan Planning Group, Scott Morgan continues a legacy established by his father, Gary. “He set out to create a business that would be distinguished by the service we provide and the relationships we form,” says Scott. “One measure of our success in that regard is our high client – and for that matter, staff – retention rate. Scott learned the ropes of his father’s business early – starting with basic filing as a child, and continuing with part-time work during high school and college. Since 2007 he has been employed at Morgan Planning Group full-time, doing everything from developing employee benefit packages to auditing billing and establishing complex group plans. He has been president of the company since 2013. A 30-year veteran of the insurance industry, and part of the Morgan Planning Group team for over 20 years, John Byers brings a breadth of knowledge and an impressive record of achievement to our clients. He has chaired the Compliance, Long Term Care, and Disability Income Insurance Committees for Massachusetts Mutual Life Insurance. He has also distinguished himself as a Disability Master and member of the MassMutual Leaders Club and Blue Chip Counsel. In addition, John has conducted workshops nationally on a wide range of topics. A native of Orono, Minnesota, John completed his undergraduate studies at the University of Minnesota, attended the Kellogg School of Management at Northwestern University in Chicago, and has completed his Life Underwriters Training. He has been married to his wife Gina since 1987, and together they have two children. He is a past board member of the Minnesota Blades Hockey Program and served as head coach of Wayzata Youth Hockey. He has also chaired several Ducks Unlimited chapters as well as the Hobey Baker College Hockey Awards. A lover of the outdoors, John enjoys sharing time with his family at their lake home in Crane Lake, Minnesota. A Certified Financial Planner™ and business consultant who draws on more than a decade of experience advising both individuals and businesses, Mark Booth ensures that the critical aspects of his clients’ financial lives align to advance their objectives. Mark is a graduate of Augustana College in Sioux Falls, South Dakota, where he earned a BA in Business Administration. A resident of Lakeville, Minnesota, he is active in that community’s Rotary Club, belongs to the Lakeville Area Chamber of Commerce, and is president of the Lakeville North Sports Booster Club. Drawing on more than 20 years of life/health insurance experience, Jim Erickson specializes in sales and account management, with a particular focus on group plans and life insurance. In this capacity, he stays in close contact with Morgan Planning Group clients, analyzing their needs to establish appropriate products and services. “Our industry has evolved dramatically,” says Jim, “but what hasn’t changed is the nature of Morgan Planning Group. Gary Morgan built his company to be the ultimate solution finder for our clients – to explore every avenue to meet their needs. He believed that doing the right thing for our clients is also the right thing for our business. Jim earned a Bachelor of Science from the University of Wisconsin Stevens Point. He is licensed for Accident & Health, Life in the state of Minnesota, and is also certified in Long Term Care (CLTC). Outside of the office, he enjoys biking, training dogs and working on classic cars. He’s also a member of Pheasants Forever & Ducks Unlimited. As Morgan Planning Group’s Office Manager and resident expert on COBRA, Theresa works with our clients’ former employees to ensure that all their questions are answered and that premium payments are accurately made. Her extensive background in problem resolution and customer service also makes her the go-to person for a variety of daily challenges and questions. “I may be unusual in this regard, but I really like the fact that insurance rules, laws and policies are always evolving, because change keeps me challenged. 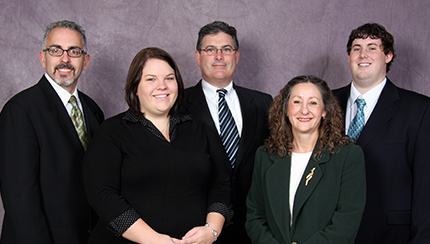 We have a tremendous team at Morgan Planning Group, and we take pride in our collective expertise,” says Theresa. Theresa holds a Bachelor of Arts degree from the University of Minnesota, and she enjoys travel, camping, hiking, and making greeting cards for special occasions. Brandon joined Morgan Planning Group in 2013 and quickly demonstrated his skills not just in data management, but in handling the myriad miscellaneous technical issues that arise. Adding to this effectiveness: Brandon is licensed for Accident & Health, Life in the state of Minnesota. “In my position, it helps to understand technology in general and the insurance industry in particular,” he says. Combining those skill sets, Brandon has been able to streamline data management dramatically by automating processes that, in the near past, were performed manually. In addition to his technological pursuits, Brandon enjoys watching movies and reading when he’s not in the office. He currently lives in Minneapolis. In his role as Account Manager, Matt runs point on a wide range of group interactions, from helping to manage and set up group plans, to resolving issues, answering questions, and providing a wide range of assistance to plan members. Matt joined Morgan Planning Group in 2014, and is licensed for Accident & Health, Life in the state of Minnesota. A native of Farmington, Minnesota, he attended Inver Hills Community College and enjoys a wide range of outdoor activities, including disc golf, target shooting, canoeing, biking and skiing. Linda Presler is an account specialist who came to Morgan Planning Group with over 30 years of experience administering retirees’ health insurance for the Minneapolis Employees Retirement Fund. There she amassed vast knowledge of health insurance, in particular Medicare and Medicare supplements, while cultivating the skills that make her our “Explainer In Chief” for those populations. Linda joined Morgan Planning Group in September of 2014. In her spare time, she enjoys sewing, gardening, volunteering, and spending time with her grandchildren. In addition to being licensed for Accident & Health, Life in the state of Minnesota, Faye Sorensen brings broad business knowledge and experience to her role in the day-to-day administration of our client groups and individuals. That’s critical, says Faye, because “this is not a one-size-fits-all business. People have unique needs that require unique solutions. But one thing is true for all our clients: they have a lot riding on what we do for them, so it’s important that we get it right.” In addition to drawing on past business experience, Faye spends considerable time staying on top of changing rules and regulations that govern benefits administration, and taking advantage of professional development opportunities. Faye works primarily with our largest clients, assisting with enrollments, terminations, COBRA administration, claims issues and everything in between, while also providing support across Morgan Planning Group’s other individual and group practices. One of the things she likes best is the opportunity to help clients remain in compliance with the complex requirements regarding employee benefits, and to educate and increase their knowledge as well. Faye received her bachelor’s degree from Luther College and earned an MBA from the London Business School. She lives in Woodbury with her husband, Andrew, and golden doodle, Violet. Two children, one still in college, complete the empty nesters’ clan. Outside of the office, Faye enjoys reading, music, yoga and a wide range of outdoor pursuits, including golf, skiing, ice skating, biking, hiking and mountain climbing. Kaitlin Callahan assists every member of the Morgan Planning Group team, but her position as Account Specialist goes way beyond merely providing support. She’s a self-starter whose mastery of multiple skills, processes and organization makes her a linchpin of the company. A Minnesota native who double majored in linguistics and psychology at the University of Wisconsin – Milwaukee, Kaitlin enjoys travel and spent two years living in Taiwan. She’s also “way too into” musical theater and loves to fish and hike. Kyle earned a Bachelor of Fine Arts in Creating Writing and English at Hamline University, and an MFA in Creative Writing through the Bennington Writing Seminars. Prior to that, he served four years in the United States Marine Corps. An avid reader, Kyle also enjoys long-distance running and fly fishing along the Root River in southern Minnesota. 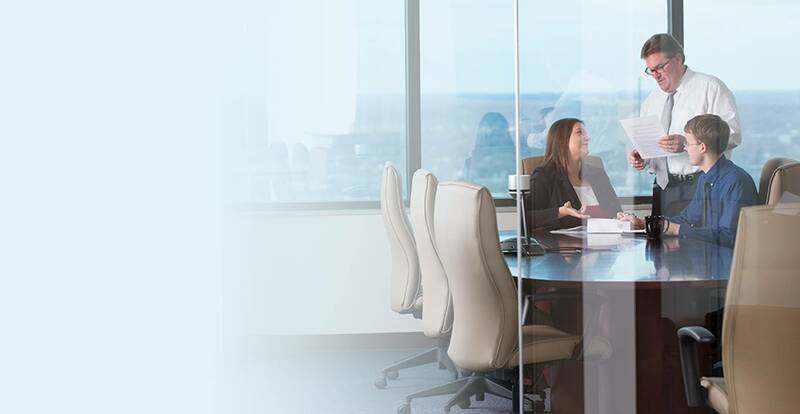 Clients rely on our Enrollment Specialists to understand their unique needs and provide the guidance and clarity they need in an ever-changing business environment. Rebecca’s commitment to getting to know the people she serves makes her a powerful asset on all these fronts. A native of Steven’s Point, Wisconsin and a graduate of the University of Minnesota, Rebecca earned a Bachelor of Science in marketing. Outside of the office, she enjoys hiking, boating, and spending time with her family. She’s also an adept remodeler – most recently helping to rebuild an 1800’s farmhouse.